Publish date: 20. December 2017. As a migrant, you have the right to appropriate health care services to meet your health needs according to your legal status. Adapting to a new country and coping with new social, administrative and political structures is not easy. It is understandable that you may have been feeling isolated and not physically fit. However, taking care of your health is one of your main responsibilities and rights, and this booklet will provide you with information on how you can get appropriate care for your health needs in Croatia. 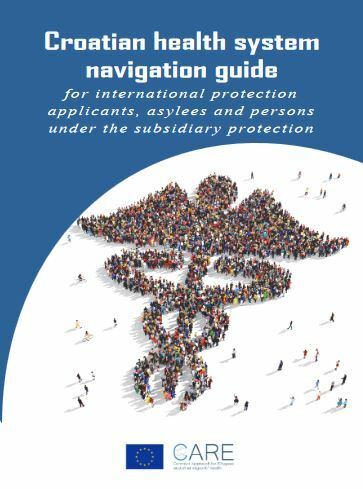 Download English edition of the Croatian health system navigation guide for international protection applicants, asylees and persons under the subsidiary protection. The booklet is part of the project / joint action ‘717317 / CARE ’ which has received funding from the European Union’s Health Programme (2014 – 2020).